In this episode I interview Mike Thomas, who currently generates $30-50/mo by interviewing product creators and Internet Entrepreneurs on the Mike from Maine show. 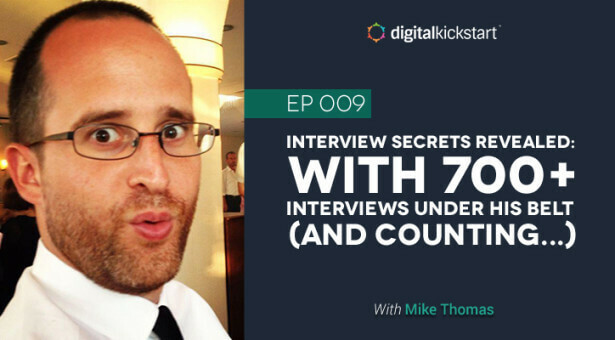 With over 700 interviews under his belt, Mike lets us in on his Do and Don’t for conducting interviews that engage the audience and turn listeners into buyers. Mark Thompson: Welcome to today’s podcast. I am joined here by Mike Thomas. Mike Thomas is the creator and founder of the Mike from Maine show and I wanted to bring him on, for one, to put the shoe on the other foot because Mike has interviewed me countless number of times. I don’t even know how many it is now, but he is an expert at creating interviews, conducting interviews, and turning it into profit. Mike, thank you for coming on to the podcast. Mike Thomas: Yeah, it’s a pleasure being on here. So everyone knows how many times I’ve interviewed Mark before, he was actually making fun of me even before we got started here. I always do a little bit of a countdown before I start, so that’s how many times Mark and I have done interviews together. Mark Thompson: I like his, “Three, two, one…” I should’ve used that and played that right before, but anyways, I digress. Before we dive into the Mike from Maine show and analyze it, tell me how you got to that point of starting the show, and then we’ll dive into all the 700+ interviews that you have conducted, and what you’ve learned from it. Mike Thomas: Sure. Long story short, without boring everyone, I’ve been doing internet marketing since around 2004. That’s when I got introduced to the possibility of making money online. My brother was selling magazines as an affiliate back in the days when you could do direct advertising through Google ad words and Yahoo overture at the time. He would send traffic, like people searching for Time Magazine, he would buy an ad, people would buy it through his link, and he would make money. He was making a healthy 6 figures, multiple six figures from doing that. For me, that was when I saw it wasn’t one of these scammy ads online saying, “Click a button and make money online”, that you never believe. It was a real person that I 100% trusted making money. I started dabbling, made some websites, got into CPA marketing. I was buying ads, doing the kind of thing where you get people to put in their email and you make a $1.40 each time. Did that for a while. Then the whole kind of interview thing, back in around 2011 I was doing adsense sites, and 700 adsense sites making me anywhere from $100-$300 per day. I did that from 2011 to the end of 2012. The birth of the Mike From Maine show, was I was doing the website thing, making money from the Google adsense program and I started thinking to myself, “Man, this is a- all of my eggs are in one basket here. If something happens, if Google bans my adsense account, if Google does an algorithm change, and I lose my free traffic, I’m screwed”. I decided to start going out there and interview people that were putting out products. I kind of was in the warrior forum looking around. People putting out all these products about making money, like $100 a day doing nothing, and everyone’s seen these offers. I was like, “Okay, what if I actually talk to these people. What if I actually go and see, like dig around a little bit, find out what’s really happening. 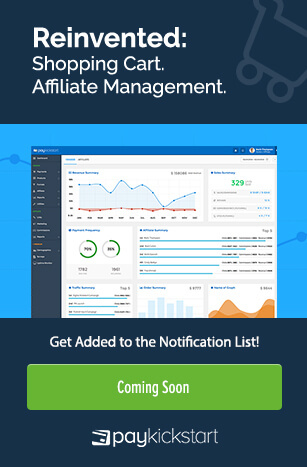 Find out kind of the secrets behind what they’re doing, and at the same time- I’m doing an interview with them, and asking them these things, and at the same time promote the product as an affiliate”. It was kind of like, that would be my monetization method there. I had the whole thing with the interview is that it’s a value added content there. You’re promoting something, and everyone knows you’re promoting something, but at the same time you are pre-selling the offer and you are making money from it. I started doing that. It started out really slowly, Mark. You know from knowing me for all these years. I’m not sure when the first time I interviewed you was, but I would say it was either at the end of 2012 or in 2013. It was, it was just like going out there, reaching out to people that wouldn’t, some people wouldn’t give you the time of day. I’ve had people that I have asked to be on my show now, that wouldn’t answer my messages way back then. They’re like, they’ve even said, “I made a mistake there. I should have listened to you then”. I started building up my email list. I started, my income started going up, I was making $2,000 and then and the 4, and then 10, and then in my best month online so far is October of 2015 where I made $58,000. This is profits, this is after I take out all my expenses, so $58,000 in profit from doing this. On average, I make about 20 to 30 grand per month doing this. That’s it, in a nutshell. I mean, there’s lots of other stuff going on in the background there, of course. But my model is interviews, reviews, I do little reviews of products, and then just build an email list. That’s where I get my traffic. Mark Thompson: Yeah, one of the nice things about your model is that you can interview somebody, promote that product, and you can wipe hands clean. I mean, that’s one of the good things about being an affiliate marketer. You promote it. You’re not the one, obviously you’re not the one creating the product, you’re not having to deal with support, so like you said, the majority of the revenue that’s being generated are commissions. That’s net revenue that’s coming into your pocket, right? Mike Thomas: Yeah, I mean, that’s all coming in. I don’t have to handle any of that support there, but the thing is, there are negatives involved in it as well. I’m not, when I bring you on my show and I do an interview with you, and I send traffic to you, I email my list, and every time you email your list you get unsubscribes. 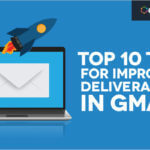 You also, every time you email your list you can lose, people aren’t going to be as active, as receptive to your emails every time you mail them if you’re mailing them all the time. 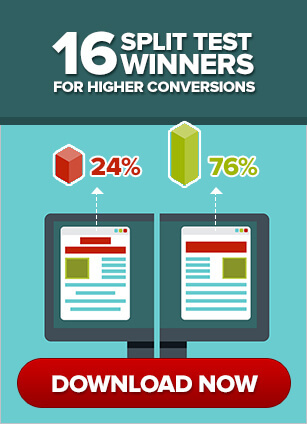 You’re opens go down, your clicks go down, and also, I’m sending my subscribers and my buyers to your email list. I’m diluting and saturating my email list a little bit by doing that, so there are negatives. One way I’ve been able to counteract that is, in 2014 I started seeing other people doing this, and I wasn’t doing it until then. People were, probably some of you people who are listening here, you bought a product and you see these bonuses that people have in their download areas from other people that aren’t the product creator. I would just ask people that I was promoting, I would say, “Hey, do you have a bonus area? If you do, can I put my bonus in there? I’m gonna be promoting. I’m gonna be sending you sales. Are you cool with that?”. I would say Mark, about 80% or higher are fine with that. Some people allow it. Some people don’t. It hasn’t been a criteria for me promoting someone or not, but it’s been a great way of kind of bringing new subscribers onto my list when I’ve been losing them promoting. Mark Thompson: Yeah. One of the things that you’ll start to notice, and I’m sure you noticed as you started to build a name for yourself is, once you start to have a larger audience and more pull, you start to get more influence in the space, and people that you reach out to to say, “Hey, you know, do you have maybe even just an exclusive bonus that I can use and give offer to my list?”, or like you said, to help build your own list, “Hey, would you mind throwing this in the back end of your bonus area?”. 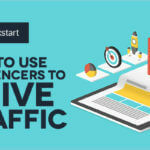 You’ll start to notice that more people say yes when people know who you are and notice that, “Hey, this person can drive a lot of affiliate sales”, right? Mike Thomas: One thing I’ve been really careful about, Mark is that as I’ve kind of grown over the last 3 or 4 years now, is not to forget where I started from and not to forget that I was once one of these smaller guys who had never put out their own product, who had a small email list, who couldn’t send very many sales. I mean, you’re a perfect example of someone who was always receptive to me. Even way back when I didn’t have an email list and I wasn’t gonna be sending you a ton of sales maybe, if any, you would still take time out and do an interview with me. I think that’s important. I think it’s important to, when people are asking you, like they’ll be sending you messages on Facebook or Skype asking you to take a look at their launches, I think just taking a look at them and responding and not being a jerk about it is gonna take you a long way. You’ll be surprised, the people that are small now, there’s gonna be a percentage of them that are gonna get bigger. It’s gonna be worth being friends with them in the future. Mark Thompson: That’s very true. I think that’s one of the things with you. I think that’s one of the reasons that your interviews and your strategy has worked so well. You’ve been able to read people very well, and you can kind of tell who are the hard workers. Who are the people that I want to associate myself with? Kind of rewinding back to when you first started, and we touched on this just a little while ago. Some people, if they don’t know who you are, you’re just starting out, not a lot of them are going to want to do an interview with you because they’re like, “Who’s this Mike Thomas guy? I’ve never heard of him before. Why am I gonna spend my time doing an interview with him when I don’t even know if he can drive any sales for me?”. That hurdle must have been really hard to overcome. What did you do to overcome that? Mike Thomas: You’d be surprised, most people are pretty happy about doing an interview. If you start reaching out, if the first person you reach out to is Frank Kern, don’t expect to get a reply or Russell Brunson, or any of your big idols. Those people, in my opinion, if you’re trying to do interviews, don’t interview them first because you’re probably not gonna be very good at interviews. You don’t want your first person that you interview to be your idol. I would say start reaching out to people that are the newer people or at your same level and just start practicing. If you want to do an interview and you’re nervous about it, interview your friend. Interview someone that you’re just gonna do the interview, and you’re gonna test out the technology, and make sure you’re doing this right, make sure it’s actually recording, and then just delete the interview after. It doesn’t matter. Just try to do that. As far as getting people to be receptive to you and actually to it, what I did, is I had an email. 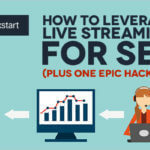 I remember I did an email with Pat Flynn from smartpassiveincome.com and I would always link that interview when I was asking people to do an interview with me. Once you can kind of get some bigger people, like you go out there, you start asking people, once you’ve scored one of the bigger people, use that as leverage to say, “Look. This person let me interview them. You should too.”. It will help a lot. After that, I did an interview with Don Wilson and I was using that as a way of saying, “Hey, look, it’s Don Wilson. Everyone knows who that it is”, and it had a lot of pull for me. Another thing that I did was I numbered my interviews. By the time I got up to, even past the 30s, like no one wants to be your first interview because I’ve had people, you’ve probably had it too Mark, where people have interviewed you and it just never even gets published. The person did an interview and they’re not really serious about it and it’s just a waste of time. Just showing that you’ve done a bunch of them and like, if you have a list, I have a list of all my episodes, you can link up to that after you start doing it. If you have an email list, if you have anything that can make it so that that person sees value in it, say like, “Look, I’m going to share it on my Twitter following of 1,000 people. I’m gonna send it out to my email list of 1,000 people”, if you have an email list. Just that kind of stuff can make it easier. Mark Thompson: Okay. Now, what do you do in terms of your preparation? When you’re going to interview somebody, do you have write down a list of questions that you’re gonna ask them? Do you send those ahead of time? What’s kind of your plan of attack before you actually get into your interviews. Mike Thomas: I’ve seen people do multiple different ways. I’ve been interviewed, probably a lot of you know who, what’s his name, John Lee Dumas from Entrepreneur on Fire. I was on his show, and when he interviewed me, he sent me a bunch of questions, kind of told me the outline of the direction of how the show goes, I think that’s fine. If that works for you, I think that’s a great way of doing it. I don’t do that. I send some instructions to my interviewees. I tell them just some technical stuff like, be in a place where there’s not lots of sound. Since I do videos, so I’m like, try to have the lighting be a little bit okay and have not a ton of stuff going on in the background. Just kind of preparatory stuff. Don’t have lot’s of programs open so your computer is gonna be slow and the connection is gonna be slow. All that kind of stuff. As far as questions so, I have some written questions down. I had them open in Evernote and I have base questions that I try to just use those as a way of kind of leading the interview on when there’s a transition in the topic. I try to use them and try to play off the answers that my guest gives me. The worst is that you just sit there and you just read off, like, you don’t even pay attention to what your guest is saying and you just read off question after question after question. That’s not engaging and you’re not gonna have fun with that. I tell my guests, and as Mark knows, he’s been on my show a bunch of times, he knows my format. I say, “Look, we’re gonna, this is what we’re gonna talk about today. This is kind of the general topic”. So I want to give them a general topic to try to keep them on task, “And we’re gonna talk about this, and then I’m gonna ask you about this, and we’re gonna go through this”, blah blah blah. I ask them. I say, “Look, is there anything else that I should be asking you? Is there anything that I’m missing here?”. Most of the time they’re like, “No, no, that’s good. Like, you might want to ask about that” and that’s about as far as it goes. Since I interview people about software and courses, I’ve tried both models. I’ve tried going through everything, and like if it’s an information course, going through it and then doing then interview, or if it’s a software, going through the software and then doing the interview. I’ve found that, kind of just getting a rough idea of it and, if it’s a course, just kind of taking a little bit of a look at it, or if it’s a software maybe glancing at the demo, that works better for me because then I approach the interview kind of with the same eyes as my audience. I don’t know too much information. Sometimes there’s nothing worse than knowing the answers to questions, like directly, and then asking them and pretending that you don’t know the answers to them. I hate doing that and it’s pretty obvious when that happens. I don’t do much preparation. Mark Thompson: Yeah, and I don’t blame you. I totally agree. When things are scripted, it’s almost like someone reading from a teleprompter. It’s not natural and being able to respond and add follow up questions to a question that you wanted to ask, so I agree. Have some base questions and a framework for the discussion, but if the entire interview is scripted, it’s gonna come off robotic. It’s not gonna seem natural, and I think the listeners will take notice of that. Another question to that is, how do you know what type of questions to ask them? Everybody has a different comfort level and some people don’t like to divulge too much information. Some people are more transparent than others. Do you just kind of feel the person out and see how the interview is going? Mike Thomas: I do. 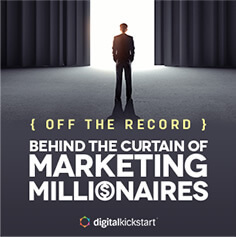 Sometimes, because of the way that I do, the industry that I do interviews in, the internet marketing niche, if someone is- For example, asking people about income. That’s always kind of a taboo subject, but if someone is making a claim on a sales page, “How to make X amount of money doing X”, I feel like I have the right to ask them more about that. They’re already claiming that on their page. People come on my show, I don’t want people to come on my show and feel uncomfortable. I don’t want someone to come on my show and make it be like a, “Gotcha!” Kind of thing, because then they’re never gonna want to come back again. I want people to feel comfortable. I tell them, I’m like, “Look, if something happens and you don’t want me to publish it, I’m not gonna publish it. It’s not the way that I do things”. I actually had a guy, Mark, and I won’t name the name but I had a guy get arrested on my show one time. Mike Thomas: He was, I was starting the interview and suddenly there’s a knock on the door. I see, this police officer comes in, he’s got his badge around his neck and he takes the guy and he arrests him. Yeah. Yeah. I found the story later on. The guy had had some problems with, I think it was some marijuana problems and he was on probation and stuff. He wasn’t like, a big big criminal but I- that video. If I had put that video up on Facebook or anywhere that would have gone viral so fast. I would’ve gotten tons of people kind of checking out my show and everything. I mean, you would have wanted to watch it, right? Mark Thompson: I was just gonna say, “You should have published that. You know how many more views and subscribers you would have had?”. Mike Thomas: Exactly. Exactly, but my guest, obviously he didn’t want me to do that, and I talked to him about it afterwards. As far as taboo subjects, if you’re gonna ask it, ask it. Andrew Warner over at Mixergy, he’s asked, his interviews are very intimate in where he will ask anything. He’ll go in there, and he’ll ask. One of the biggest things that I remember his saying one time was like, “If you’re gonna ask, just ask and wait. Don’t start saying stuff like, ‘Oh but you don’t have to answer that.’ If you’re gonna ask the question, if you’re gonna ask like, ‘How much money did you make last year?’, ask it. Even if the person’s gonna say, ‘I don’t really feel comfortable with disclosing that’ or they’re gonna give a roundabout answer, just ask and if you’re gonna ask, ask.”. Mark Thompson: Yeah, it’s that fine line. Do you feel that it’s your job as the interviewer to push the envelope? Mike Thomas: I feel like it’s my job to make sure that my audience has all the information that they need in order to make a smart decision whether or not they’re gonna purchase the product. I try to clarify before I do the interviews with the potential interviewee whether or not they’re someone I can present to my audience. If someone’s putting an information course and they’re not really doing what they’re talking about in the course, I won’t bring them on my show. If they’re making crazy claims on the sales page and they can’t back it up, I won’t bring them on my show. I tell them, I’m like, “Look, I’m going to be asking you about these things. 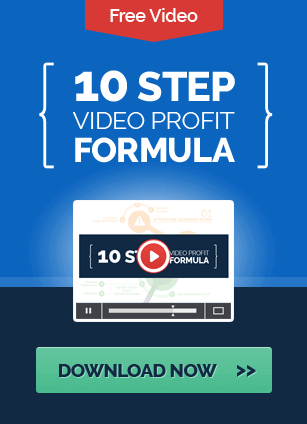 I’m going to be asking you like, you’re claiming that you’re making $100 a day from some method. Did you make $100 yesterday? Did you make $100 the week before? Is this something that you’re currently doing?”. I try to screen them as much as possible before coming on my show. I think for me, it’s screening. Before I had them on my show, I’m sorry, before I had done my show, I had done many episodes. There were people that snuck in, Mark. If you go back and look at some of my first episodes, there are people that I would not have on my show now that I had on then. Of course, I’m not gonna name names but there are people that I would, I’m kind of embarrassed that they got through, but I learned. I’m better because of it. Mark Thompson: Yeah, I mean, you’ve learned a lot. You’ve learned what type of interview styles work and which don’t work. What are just some general tips for someone that maybe has never done an interview before and they say, “Hey, you know what? It makes sense to do interviews. I can piggy back off of their authority. I can provide value while also promoting and product and make money”. What are just some general tips that you have for people starting out? Mike Thomas: I think one of the biggest mistakes that people make when they start doing, whether it’s a podcast or interview show, or whatever, is they think that the interviews are a business. You need to have a clear idea as to what your goal is, as far as, what’s the point of all this? Is this something that, are you gonna be able to do 10 episodes? Are you gonna be able to do 50, 100, 500 episodes of this. Is this something that you’re truly passionate about? Are you a good interviewer? It’s not everyone. I don’t think everyone can do interviews. I think that there are people that are gonna be better than others, and there are gonna be people that are worse, and there’s gonna be people that are horrible at it. If you are scared to death of doing it, and you try it a few times and it just doesn’t work for you, maybe it’s not for you. Try it out. If you’re at all interested in it, try it. You’re gonna be horrible in the beginning anyways, but try it out. If it’s something that you enjoy, and that you get pleasure out of, then keep on doing it. Just know that you’re not gonna be, you’re not gonna be Andrew Warner from Mixergy. You’re not gonna be Mark Thompson. You’re just not. It takes time to do it, but just make sure you have that goal there, whether it’s, I mean with your show. I told you at the beginning of this I was gonna flip it around on you. Mark Thompson: With you show. Mike Thomas: No, I want to ask you. I think it’s important with this, like, if I was to tell you what I thought the goal of your show was, I would say it was a way of creating valuable content and being able to bring like, share-able content that can bring people in, can build your brand image. People will come in, check out your website, potentially join your email list, maybe check out some of your products out there. Doing an interview like this is much more share-able than doing an interview that I do. The interviews that I do are very much product promotional based interviews. Going and asking, if I did an interview with Mark about a product and I said, “Hey Mark, can you go and share that?”, the likelihood that Mark is gonna share an interview where we’re specifically promoting a product and it has my affiliate link associated with it, is much less. He’s gonna say, “Why am I sharing that? I’m just gonna, why am I giving him sales? I can be getting those sales myself”. If you do an interview with someone that’s purely content then the likelihood that someone’s gonna share that is much higher. Mark Thompson: It’s just a different strategy, right? I mean, you’re conducting interviews to help provide value around the product that you’re promoting, right? Instead of just hammering people with offer after offer, you’re providing value. You’re actually interviewing the person that created it and finding out why they created it, and their background, and why this is a good product. Then you review it. That makes sense. Yeah, our strategy is a little bit different. I think you’re 100% right. The type of content for this interview, this is just strictly content. I’m not pitching anything, so it’s not like I would, like you said, want to promote something that has your affiliate link on it that you’re just going and promoting something. For me, one of the reasons that I wanted to do a podcast was, for one, I love just talking to other entrepreneurs. I do it all the time, but usually it’s behind closed doors, right? Or a call that’s not being recorded. I’m like, you know, why not just turn it, I guess more into a formal discussion, record it, and put it out there. I have discussions all the time with people, with business owners, and I’m like, “Oh man, this is some, these are great nuggets”. Why not leverage it? To me audio, creating this type of content, is much more natural and easier to do than sitting there and writing blog contents. Mike Thomas: The relationship aspect of it is huge. Whether you’re doing an audio podcast, or you’re doing YouTube videos, Mark and I have never met in real life, but we have a better relationship than people that are just going back and forth on Skype, like chatting on Skype and Facebook and talking about like, “You promote me, I promote you”. It’s different. I think it is the second best thing to going to events. If you were, the best thing out there, everyone always talks about like, there’s events all the time. I know you’ve been to some recently, Mark. It’s a great way of getting to know people, a great way of actually having some conversations that aren’t just about marketing, but if you’re not able to do that, if you don’t have the time or you don’t have the money to do that, interviews are the next best thing. I know almost, I want to say almost everyone in our space, I’ve done and interview with and I’ve had a conversation with, a chat with, and that’s because of doing these interviews. One other thing I wanted to mention real quick, while we’re talking about like building rapport with people, is that those pre-interview chats, and that’s something that you definitely want to do. When you do an interview with someone, don’t just like get on the line with them and say, “Okay, let’s go”. Just chat with them for a minute. Be like, “Hey, how are you? What’s going on?”. It doesn’t have to be 20 minutes, but just like a two to five minute, just a chat about, just small talk about life, it’s a nice thing. You’ll be surprised how much valuable stuff gets shared in that. You were talking about having chats with people all the time. That kind of stuff is super important. Mark Thompson: Mm-hmm (affirmative). Yeah, I 100% agree, and actually that’s where I think the majority of the value lies for the person conducting the interview. When you get to meet and interview all these amazing people, having those chats either before the interview or even afterwards, just being like, “Hey, you know, where I let you go, what do you have going on in your business?”. Then you can just start talking about, “Oh, well I have this going on. I have that going on” and you guys can just kind of share what’s going on. I can’t tell you how much business has been generated just from those quick discussions. It’s almost just like planting the seed, right? It’s like, “Hey, well we have this going on. If you’re interested, let’s do a follow up call next week and see what we can do”. Mike Thomas: It was a big process. I know it was a big process for you to get it done. It wasn’t one of those cheap things. What I did, and the reason I can suggest this to you because I did it myself, is after I had done I don’t know, about 100 interviews with people, I reached out to some of the bigger guys that I’d interviewed and I said, “Hey, I’d like to just interview you about…” and it was a specific subject. I was interested in launching products, so I asked them. I said, “Look, can I do an interview with you about launching products?”, because I was sincerely, I wanted to know how. I was really interested in it. I asked them, and Mark was one of them. I interviewed Mark, I interviewed Chris Guthrie, and Bill Guthrie, and a bunch of guys. I think it ended up being 12 or 13 people that I interviewed. I put out a product about it. It’s a little product, it wasn’t a huge launch. I think I did like, 200 or 300 copies of it. The people that promoted the product, they didn’t make barely any money. I remember getting a message from Mark saying, “Mike, are you sure your one time offers are working? They’re not, nothing’s happening here”. The reason why these people promoted me, if I had reached out to Mark and said, “Hey, promote my product” and I hadn’t done an interview with him, and I hadn’t built that relationship, that would never- He never would have sent me any sales because he actually, he lost money promoting my offer, but I was able to kind of get my feet wet and put out a product. Interview products, I think, are the best first product for anyone that just wants to just get something out there, and they want to learn while doing it. 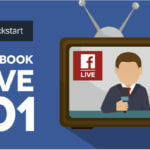 You could interview people, if you’re interested in doing Facebook ads, go out there, pick 5 to 10 people that are doing Facebook ads. 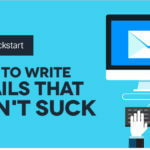 Tell them that you’re gonna package it as a product, make sure you’re clear about that, and put that out and have that be your first product or you can use it as a lead magnet if you want something that’s a really valuable way of getting people onto your email list, use that. Interviews are amazing. It’s one of the best ways of doing things. Mark Thompson: I was just gonna say. I mean, how cool is it that you can go and interview some of the top people in your industry, and really there’s not a lot of investment on your part, except time, right? You didn’t have to go and invest a ton of money into, you maybe spent some money on copy for your sales pages and a design and that kind of stuff. Mike Thomas: Obviously I didn’t Mark. Mike Thomas: The way it converted, I obviously didn’t spend much. Mark Thompson: That’s the thing. You don’t have to, right? If you’re just starting out, why not? I mean, there’s no excuse that, every single person should be able to create a product in any industry, right? You just said, you just went around and you did a little, you know, you did your due diligence and found 12, 13 people to interview and you created a product. So what if it didn’t do well, you know, as your first product launch? The learning experience alone, I mean, I can only imagine how many business lessons you learned along the way as you created that product. You can only learn so much from learning from other people. You have to actually do it at the end of the day. Mike Thomas: My first product launch was, I think I did maybe 2 or 3 thousand dollars in sales. My second I did 50,000 plus back end. I did about $75,000 in sales. We went from 2,000 to 75,000. My next one did 200,000 in sales. My next one did 300,000 in sales. Everyone has to start somewhere, and interviews are an amazing place to start. Mark Thompson: Yeah. That leads me to my final question. What’s the future for the Mike From Maine show? What are you planning on doing? Mike Thomas: That’s something that I’m always asking myself as well. What’s the future? I think anyone that says that they know exactly what they’re doing in this whole online business, I mean it’s, they’re fully of it. It’s the wild west right now. It’s still the wild west. I think it’s always, there’s always new things going on, always new ways of marketing. Social media is changing. The way that we interact with our customers is changing. I don’t know what’s next. I think for me, live stuff has been pretty cool. I started integrating webinar stuff into my business at the end of 2014 and 2015. There’s just ways of trying to help other people get results that I’m having. That’s stuff that I’m working on in my business. I’m just doing the same thing, Mark. If it ain’t broke, don’t fix it. Mike Thomas: You’re gonna continue to see interviews coming out. Maybe not as frequently as I did in the past. When I first got started I was doing about 5 interviews a week. Now I kind of play around a little bit with doing 2-3 interviews and promoting, spending more time on individual promotions when I see fit, but always testing and moving forward. Mark Thompson: Mm-hmm (affirmative). Have you thought of doing a premium membership? Where you do interviews but it’s behind a paid gateway? Mike Thomas: That’s one of those things, I’ve thought about it before. With my model, like, I couldn’t charge people for me to sell them products. That wouldn’t work. Whether to do like an elite version of it? I think when it comes to selling interviews, going back to Andrew Warner again, I think he’s also struggled with it as well. I think in the way that he’s done that with Mixergy is he’s added in instructional content and courses into the interviews. It’s not just the whole interview. Just selling the interview is always a tougher thing. For me, obviously it’s possible, but no. I think for me, it’s about doing more like coaching stuff and putting out software and products. Mark Thompson: I think that’s an interesting discussion. Do interviews have enough to stand on their own as just it’s own product, selling that as a product? Or is it more a complimentary product to your main core offer? Mike Thomas: I think they work, now in my business, I think interviews, if you put out a software or you put out a higher priced info product, you’ll see, and I think you’ve done it as well, you’ll see interviews that are put in as bonuses. I think they work really great as bonuses, and you can kind of entice people to do that. Let’s say if they have a product or a course that they can mention at the end, and you can just have it be 100% content, but just mention it at the end, that works really well. It’s my free content. Interviews, for me, it’s what I give away for free. If people want my software and my information and courses about how I do my stuff, that’s the paid stuff for now. You never know, maybe we’ll be talking in 5 years and it’ll be completely different. Mark Thompson: Hey, no, we’re gonna do an interview every month. Mark Thompson: Well, thank you Mike for coming on the show. For people that want to learn a little bit more about you, follow you and the interviews that you do, where do they go? Mike Thomas: MikefromMaine.com. Just come on over, and yeah, check it out. Mark Thompson: Awesome. We’ll have a link below the video or the audio so you guys can check it out. Mike does an awesome job. If you guys are looking to get into interviews, definitely watch some of Mike’s latest interviews. He does a great job. Thank you Mike, again. It’s great to have the shoe on the other foot and I appreciate you taking the time to chat with me.